We have had another great start to the year with Term 1 all wrapped up and our major projects moving into the second cycle of implementation. This has seen significant growth in the number of schools now operating Literacy and Numeracy Essentials, Employment Pathways and Social and Emotional Learning. Opening the doors of the Nhulunbuy Boarding school was a major milestone with the strategy and the very positive response we have received from the North East Arnhem Land community is a testament to the planning and attention to detail that staff and community partners have committed to. I am very excited to see the launch of Keeping Indigenous Languages and Cultures Strong – A Plan for Improving the Teaching and Learning of Indigenous Cultures in Northern Territory Schools. This is a very comprehensive piece of work that I believe positions the Northern Territory at the front of the pack nationally in relation to guidelines on Indigenous Language and Culture. I thank the team behind this and their strong commitment to local engagement. As we have now entered the third year of our first stage of implementation it is timely that we reflect on progress and our processes so far. We have commenced consultation on the next phase of the strategy from 2018 to 2020 with this process being led by Shaneen Tilmouth. The results of this consultation will be considered along with the evaluation report from ACIL Allen’s to help shape the next phase of the strategy. Consultation with key stakeholders including schools and communities is underway to inform the development of stage two of the Indigenous Education Strategy (IES). An independent evaluation will coincide with the consultation process and will collectively inform stage two of the strategy. The IES is a ten-year strategy with the first stage of implementation to be completed by the end of 2017. Stage two will focus on key areas that deliver positive educational outcomes for students, are supported by the community and are sustainable. Stage two implementation will align with new policy direction and government priorities, in particular the government’s commitment to community engagement and local decision making including community-led schools. The consultation process will be finalised by mid-2017 with the stage two implementation plan to commence from 2018 and continue through to 2020. Students from remote communities and homelands in Arnhem Land have settled into the Nhulunbuy Boarding Facility which opened in Term 1, 2017. This facility is part of a new program to improve access to education in remote communities. Debbie, who turned 12 on Monday, is one of the youngest of the boarders and one of four students who have travelled the 250 kilometres from Donydji to study and stay at the secondary school. “It’s fun. I like going fishing,” Debbie says of her new school. Fishing trips are organised every Saturday afternoon, along with a wide range of other activities including volleyball, football, music, art and a reading program. The boarding students attend Nhulunbuy High School, which is a Registered Training Organisation (RTO) where students can undertake Vocational Education and Training (VET) courses including but not limited to hospitality and maritime operations. Robyn Stockton is the Deputy Head of the Nhulunbuy Boarding Facility and says it’s a privilege to have been involved in this program from the beginning. “It’s a huge achievement for them all as they come from many different remote communities and have had the task of settling into a fairly large school and into boarding routine and life,” she says of the students. The support of Stars Foundation and Clontarf Academy has had a huge impact on the attendance and wellbeing of students, and the after school activities have kept the boarders engaged and motivated. As well as Donydji, the first cohort of students have travelled from Baniyala, Dhalinybuy, Gapuwiyak, Galiwinku, Groote Eylandt, Numbulwar and Ramingining, as well as nearby Yirrkala and Nhulunbuy itself. At the end of term, a member of staff accompanies students back to their community and then flies back to school with them, ensuring that they are ready for the start of each term. 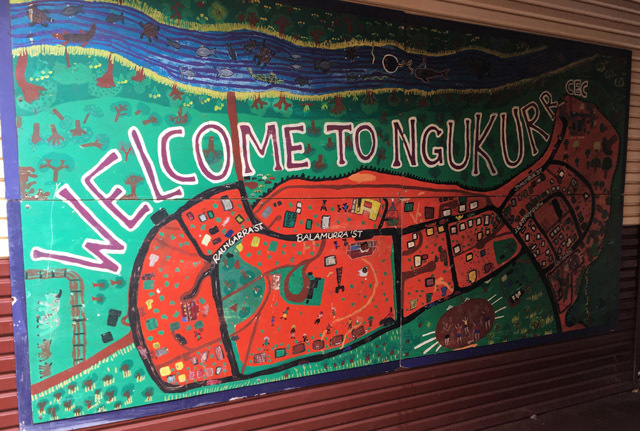 The Nhulunbuy Boarding Facility provides Indigenous families across North East Arnhem Land with additional options for their children’s secondary education, in line with the goals of the Indigenous Education Strategy. Male and female students are housed in separate buildings at the boarding facility, and residents are supported through safe and culturally appropriate programs that focus on student wellbeing. Families are encouraged to make the right decision for them and will ultimately be supported in whatever choice they make. The boarding facility currently has capacity to accommodate 40 students, with a second phase planned to provide an additional 40 beds. In Term 2, 2017 the facility will welcome 34 students who were supervised by 11 residential staff, including one male and one female staff member on duty overnight. Facilities include a computer centre and music centre, basketball circle, stage and amphitheatre, a full commercial kitchen, large dining room with outdoor deck and BBQ, and a shelter for students and staff to use during extreme weather events. Neil Morison, Head of Boarding at Nhulunbuy, says the feedback from students about their experience so far has been very positive.